Laura Hughes is a part-time traveler and full-time creative, seeking inspiration on the road and through the voices of others. She's the host and co-producer of the Women On The Road podcast, and she's also an outdoor retreat and excursion photographer, which means you'd be hard-pressed to find her without either a camera or an audio recorder in hand at any given moment. When Laura's not traveling in her self-converted camper van, you'll find her happy in Moab, Utah. I'm going through some similar transition in my own life, and I'm in the beginning stages of building a van myself, so of course I loved talking with Laura. 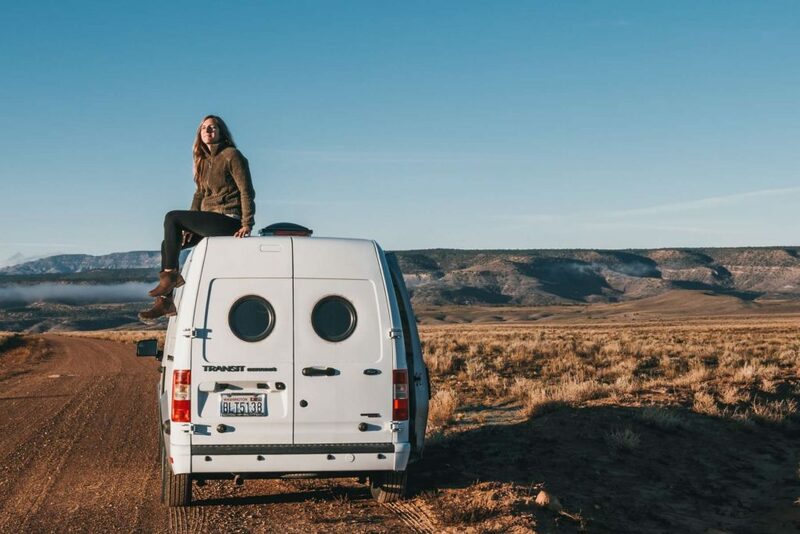 But even if you aren't into van life or long-term travel, so much of what she says about fear, being a beginner, starting where you are, and being brave will surely resonate. Such an inspiring and beautiful conversation! It is so so amazing for me to see how people craft these unconventional lifestyles that work well for their unique interests. Fills me up with joy and sense of freedom. Thank you both, Nicole and Laura!